Are you in the market for new tires? Don’t get rid of your old ones. Try repurposing them into something functional or stylish—or both. Reusing your tires can help you save money that you can invest in your new tires. It’s also a great way to reduce trash in landfills and help the environment. Circular frame – You can use your old bicycle tire as a frame for a mirror or circular piece of art. Paint the tire any color you want and fit it around your mirror or glass. When painted, the pattern on the tire can make for an ornate-looking frame. 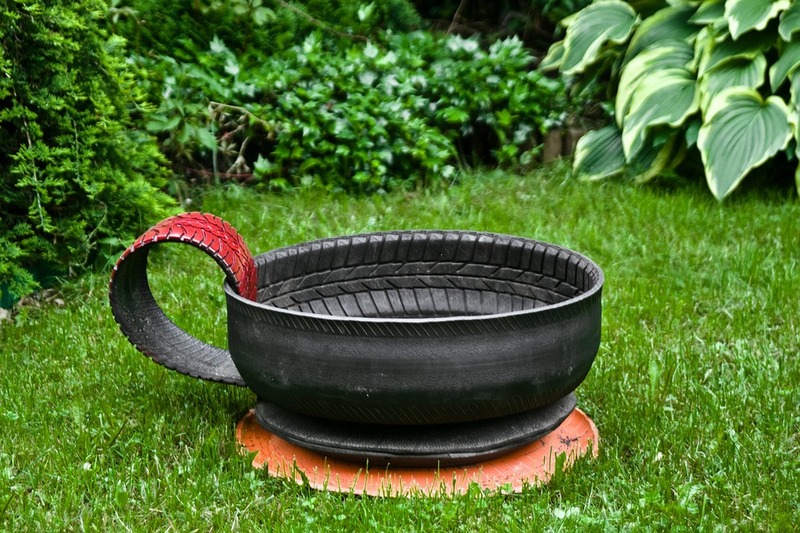 Tire planter – Wrap jute or rope around an old tire, and put it on top of a small garden table. Cover the bottom of the tire with a piece of wood. Then add garden soil and plant flowers for a burst of color. Display the planter on your patio or front porch. Pots are expensive; why not use a tire instead? Outdoor stairs – If there is a sloped area in your garden, make a staircase out of old tires. Make sure to anchor the tires well and fill them up with soil. Tires make sturdy and stylish steps. Kids sandbox – If your kids enjoy playing in the sand, paint a tire or two and fill them with sand, shovels, and buckets. Doggy domain – Does your dog need a place to lounge? Depending on the size of your dog, a tire may be a perfect fit. Paint an old tire and put some pet bedding on it. Put your pet’s bed in a corner of your home. Why send your tires to the trash, when you can put them to good use around your home?